As a larger amount of the population continues to age, planning for the methods and costs of care by loved ones is an increasingly vital task. As it turns out, many employers are lending a helping hand to their employees. According to the Washington Post, many employees are now offered helpful information regarding senior care and may even be allowed additional time off to help with family members in need of care. However, the majority of them do not offer this time as paid leave. According to the Families and Work Institute’s National Study of Employers, the amount of employers providing information about elder care services to their employees has risen from 31% in 2008 to 43% in 2014. Approximately 41% of employers now offer some type of option to pay for elder care with pre-tax dollars. However, only 7% of employers polled in the study were said to offer some sort of short term respite care for those employees who are providing care and also working. Some employers, however, are beginning to take part in the trend of offering more progressive programs. Resources such as emergency backup adult care, geriatric assessments, social workers to assist with referrals for adult day care programs, along with legal, financial and emotional counseling are now becoming more commonplace in cities with booming elderly populations. 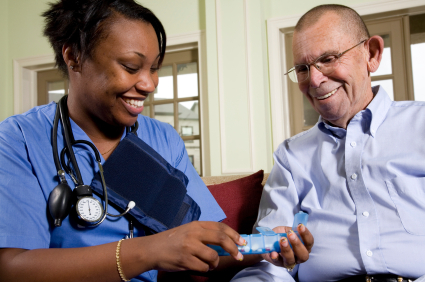 For those in the home care industry, these are equally important realizations. Understanding the needs and the burdens on those tackling the stresses of a career, as well as trying to provide high quality care for family members should be taken into consideration. From a marketing standpoint, these concepts are incredibly important.